Keeping hands warm is vital during the winter months, as the extremities feel the cold before any part of the body. The Therm-IC Warmer Ready Junior Mittens have been developed for use with the Therm-IC Ergonomic Warmers, enabling you to provide heat to your child's hands without needing batteries or power of any kind. How can the Therm-IC Warmer Ready Junior Mittens Help with Raynaud's Disease? Designed for giving instant warmth to hands for hours, the Therm-IC Warmer Ready Junior Mittens are fantastic for helping with your child's Raynaud's disease. The mittens utilise a pair of disposable warmers, providing instant heat for hands – vital if the temperature suddenly drops and you need to protect hands from Raynaud's immediately. Designed for use with the Therm-IC Ergonomic Warmers, the Warmer Ready Mittens provide instant warmth to hands – no batteries required. Simply open the packaging and the warmers will instantly start to heat up, providing up to four hours of warmth to your child's hands – ideal for if the temperature drops and you need to quickly give your child's hands extra protection against Raynaud's disease. The mittens feature a heat conductive fabric, enabling heat to spread from the warmer's pocket more easily to ensure the entire hand is heated. Heat reflective fabric at the top of the mitten and a hyperloft insulating palm helps ensure that all of the heat is used to warm hands and doesn't escape from the mitten. To prevent hands getting wet from snow or rain, the mittens feature a range of water-resistant features. The outside fabric of the mittens is treated to be water resistant, and the warmer pouch features an airtight zip. This not only helps to keep hands warm and dry, but also protects the Therm-IC warmer from getting wet to ensure its effectiveness. 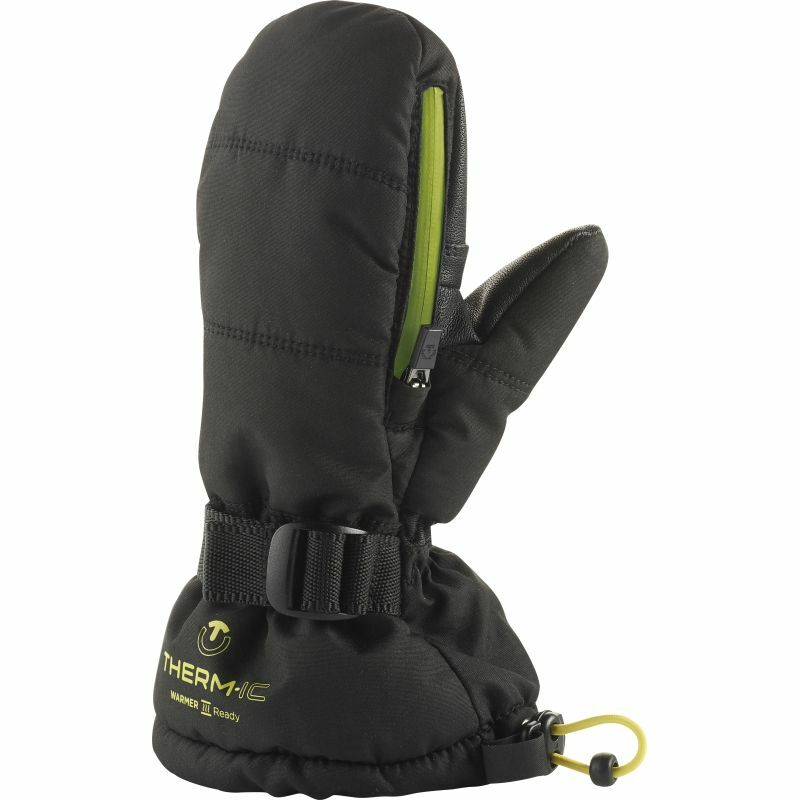 The Therm-IC Warmer Ready Junior Mittens are available in five sizes. Measure around your child's hand with a tape measure in inches (excluding the thumb) and use the table below to find the right size for your child. An age range is also available for quick guidance for each size.